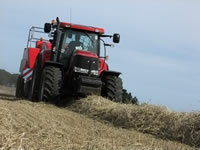 BMR has a range of agricultural grass & forage seed mixes. Grass seed is priced in acre bags on 48 hour delivery for orders of 12 acres plus. Organic, equestrian and sports use grasses are also available.